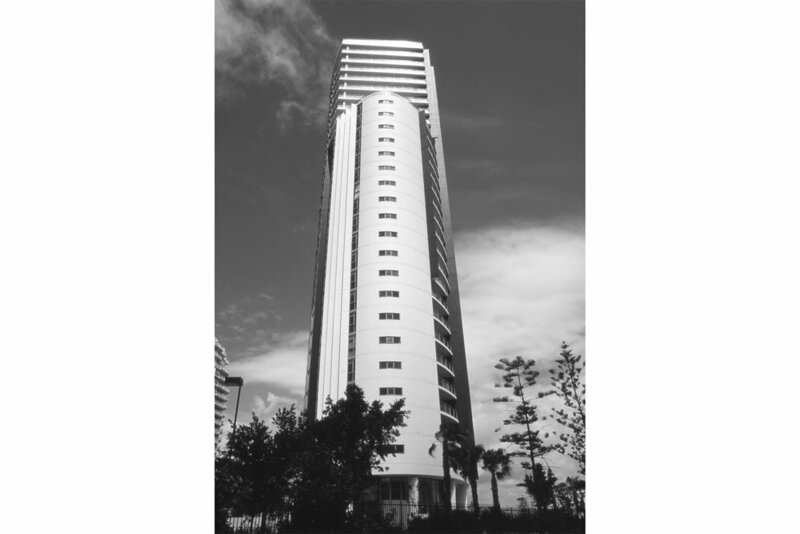 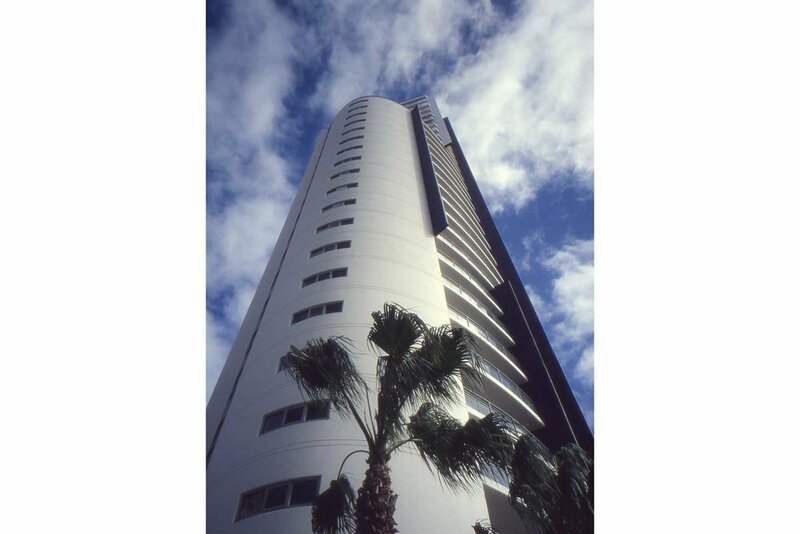 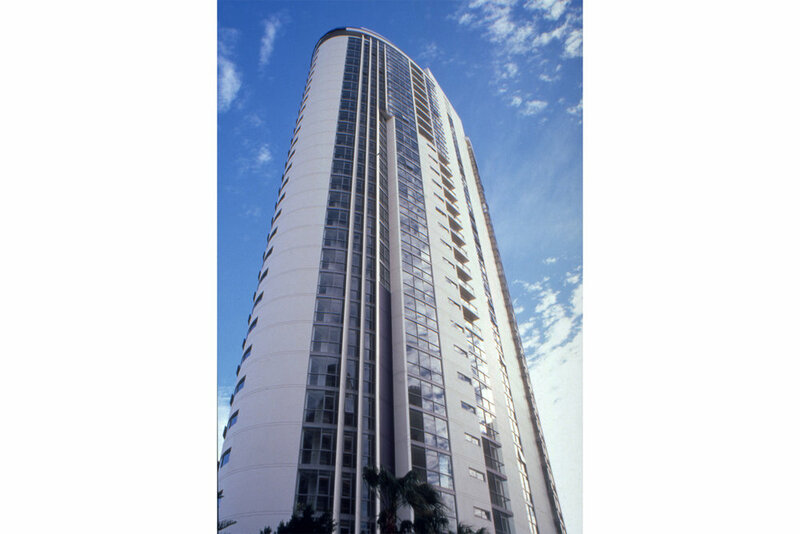 Completed: 2000 Building Type: Residential This 32 storey residential tower has an elliptical plan responding to the magnificent views all around. 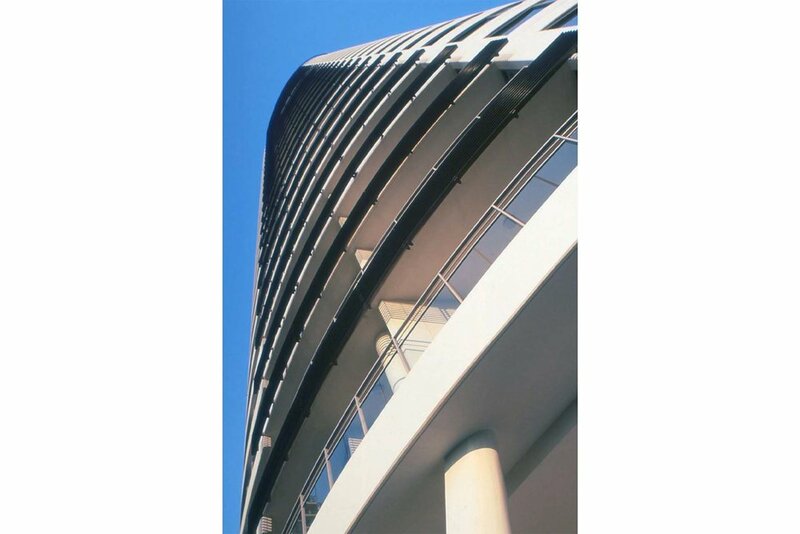 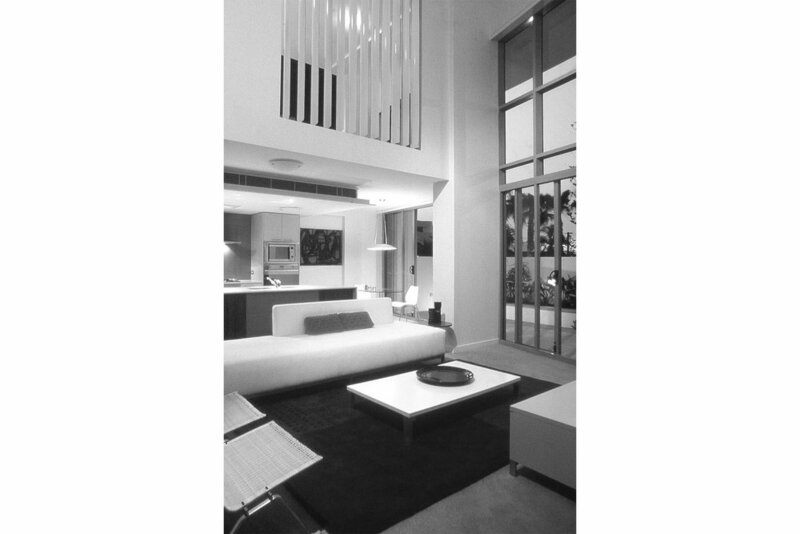 Vertical louvres performing as passive sun control devices are arranged to allow views to be preserved. 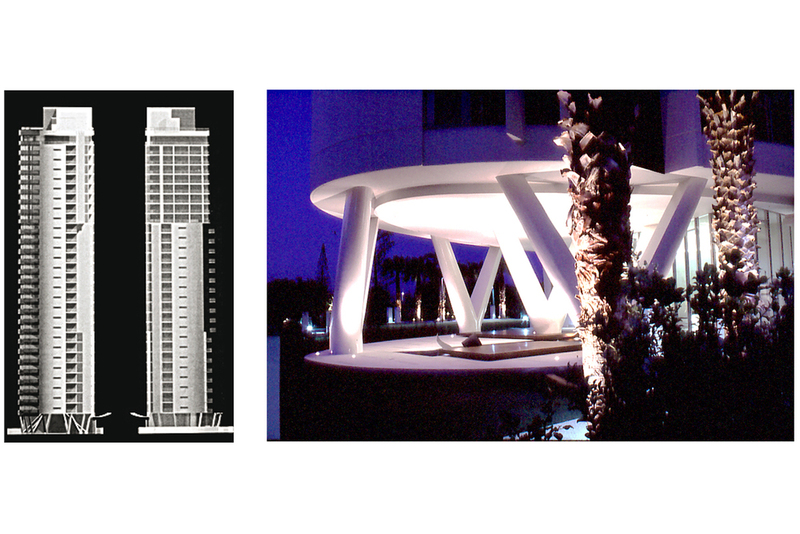 The lift core is positioned to the rear of the building (rather than the center) to optimize apartment planning and provide views and natural ventilation to the lobbies.